The legendary Trollface is back! 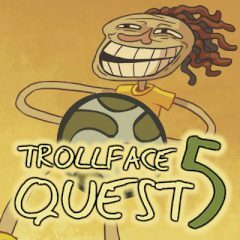 This cool game will tell you a story of Trollface's adventures during the World Trollball Cup in Trolltugal. Help him and his friends to perform some funny actions in each of the levels. Enjoy!